Got debilitating pain in your stomach and indigestion symptoms? It’s something that can strike anyone at almost any time during the day after they’ve eaten and quickly send you straight to the couch to lay down. What is indigestion and what can you do about it? Indigestion is essentially the lack of proper digestion processes taking place, often resulting in the symptoms of indigestion such as a burning sensation in the stomach, abdominal pain, bloating, gas, nausea and vomiting, as well as an acidic taste in the mouth. While you may not experience all of these side effects, usually at least one or two will be present. And when they are, you want to find relief – FAST. Suffering from indigestion is a very unpleasant experience and can make it very challenging to do just about anything that you would normally do. Fortunately, there is help. By realizing what the most common causes are of indigestion and then figuring out what you can do to help overcome it, you can put indigestion behind you. To give you a primer on indigestion, check out this video that goes over the main causes and some solutions. Want to know more? Let’s get you to the bottom of your indigestion issues and help you find out how to resolve it. The first main causes of indigestion is a lack of digestive enzymes. Digestive enzymes are designed to help your body break down the various foods that you eat, so if you are not producing enough of the right types of enzymes, this food will sit in your stomach longer than it should, possibly leading to indigestion. You may be suffering a shortage of digestive enzymes due to eating too much of one type of food (thus depleting your current enzyme stores). Stress along with certain types of medications or simply your body not naturally producing as much as you need can lead to indigestion. Fortunately, the solution to this is a quick fix. Supplementing with a high quality digestive enzyme product such as Masszymes will quickly get your system back on track. 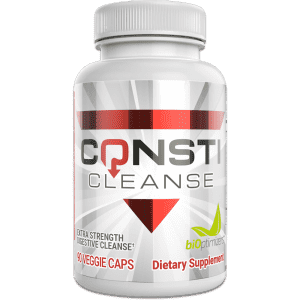 This supplement will provide all the digestive enzymes you need to break down any food you might eat, therefore resolving your symptoms of indigestion before they start. Another common cause of indigestion that you’ll want to assess is bacteria infections. This can come from foods you have eaten or from airborne bacteria. Whatever the source, the consequences are usually the same: digestive upset and stomach pain. If this is the case, you may be prescribed an antibiotic from your doctor, which will wipe out whatever bad bacteria residing in your gut. The good news is this will free you from indigestion. But the bad news however is that along with the bad bacteria that is removed with the antibiotic, you’ll also find the good bacteria eliminated as well. As your body needs the good bacteria to help keep your immune system strong, ensure proper digestion of the foods you eat and help maintain optimal energy, you’ll want to replace them. Turn to a quality probiotic such as P3-OM to do this. 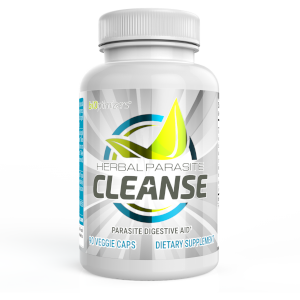 This probiotic will rapidly replace your gut flora so that you avoid future problems down the road. Which now brings us to another common cause of indigestion: changes in gut flora. Your body is home to millions of different bacteria on a day to day basis. Some of these bacteria are good and others are not so good. The balance of these are critical to your overall well-being. It becomes an issue when the bad bacteria begins to overpopulate the good bacteria. Keeping these bad bacteria in check requires you to have sufficient healthy bacteria coming in at all times. The best way to do this? Again, turn to a probiotic supplement. Not enough can be said about the importance of probiotics, so be sure that you are not overlooking these. 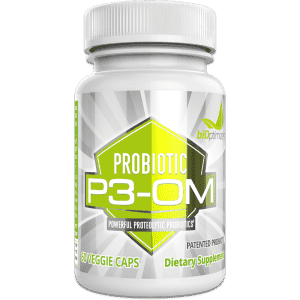 P3-OM provides top of the line healthy bacteria that are sure to help rapidly establish healthy gut flora and prevent indigestion from happening. Stress is another one of the common causes that are linked to indigestion. When you are heavily stressed, it may often feel as though your stomach is in knots. 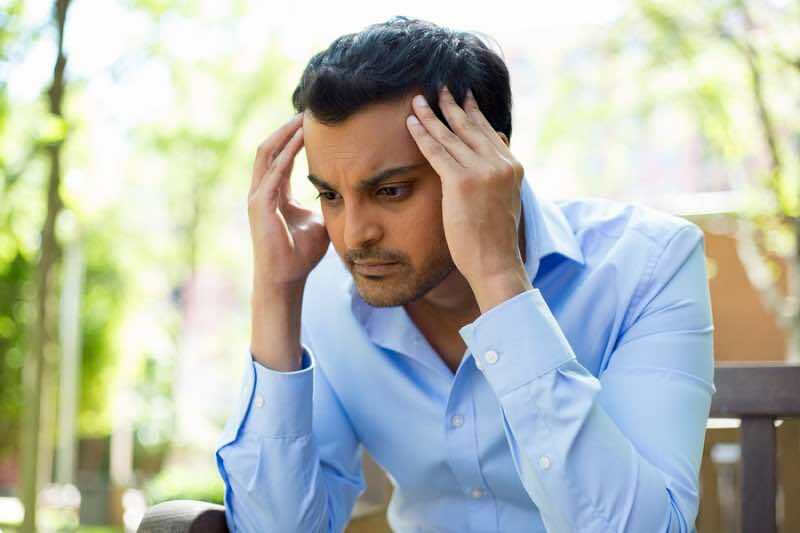 You may have more cortisol flowing through your body as well as hormones that are designed to speed up all the reactions taking place in the body. This does not lend well to digestion. If you eat when heavily stressed, it’s nearly guaranteed that you are going to have at least some degree of indigestion. It’s only a matter of when and how much. Practicing proper stress reduction strategies including meditation, writing in a stress journal, getting regular exercise, and learning how to take on less in your life will all help promote a healthier digestive system. Another of the common causes of indigestion that can lead to a number of the indigestion symptoms listed above along with others related to malnutrition is Celiac disorder. If you are someone who suffers from this, your body is unable to break down the protein found in gluten containing foods and as such, each time you eat this protein, it damages your body. Keep in mind that those who are true Celiacs are much different than those who are simply gluten sensitive. 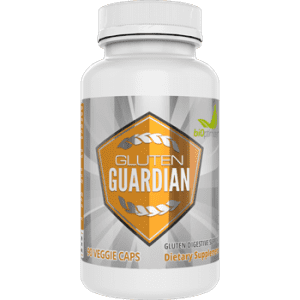 Many people often find they are sensitive to gluten and don’t feel so well after eating it, but those who are Celiac actually experience physical damage after putting this protein into their body. It’s a much more serious condition that does need specialized treatment including avoidance of all gluten containing foods. If you simply suffer from gluten sensitivity, usually taking Masszymes will help you find relief from your symptoms of indigestion. Studies also suggest that supplementation may help those who are suffering from food allergies as well. Next time you’re sitting down to eat, do a quick inventory of your body while you are eating. Are you slouched over? Or worse, lying down? If you are on the couch watching a movie and are snacking while doing so, this is a recipe for indigestion. Sit up straight whenever you are eating. This is going to help give a clear passageway for food to pass through the body and ensure that all your digestive organs can assume proper working function. 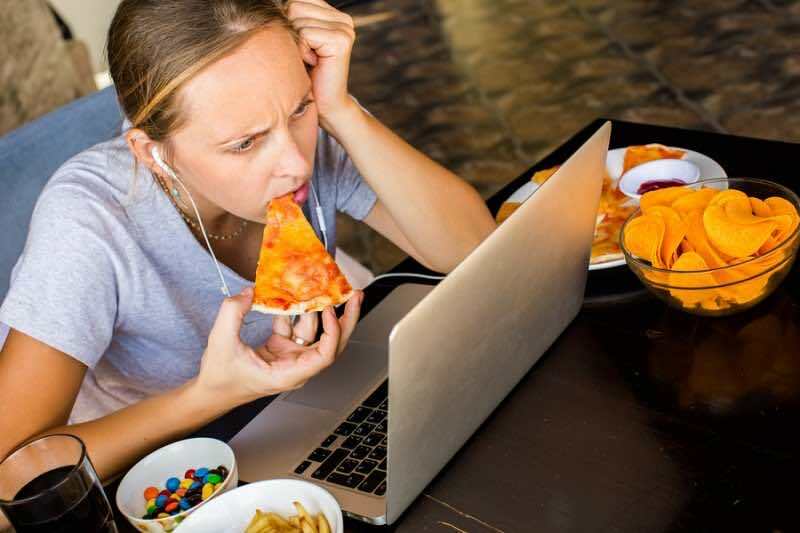 Those who are constantly slouched over while eating are far more likely to experience symptoms of indigestion and may also experience abdominal cramping as well. Sitting up straight before and after the meal will also help to reduce gas and bloating, which will help you feel better overall. In addition to this, you might also consider going for a brisk walk after eating a meal. The light exercise can help with the digestive processes and allow your food to clear your digestive tract more easily. In today’s hectic paced world, it seems we don’t have much time for anything. That includes a good sit-down meal. If you often eat on the go, inhaling your food as fast as you can could be the root cause of your indigestion. It’s important that you slow down and really let your body work at breaking down your food and going through all the proper digestive system processes. If you eat too quickly, you are stuffing the food down before it all gets a chance to be properly processed and you are going to be left with the symptoms of indigestion. Furthermore, eating too quickly also often means you don’t register that you have become full, and as such, you may find that you eat more than you need to. This can then lead to added weight gain over time. There are so many benefits to slowing down while you eat, so make a conscious effort to do this. Put your fork down between bites, chew your food, and take a few breaths. You’ll might just find this resolves many of your symptoms of indigestion. This naturally brings us to the next common reason for indigestion, overeating. Eating too much food at once is going to place great strain on your digestive system and can deplete digestive enzymes (see above for issues related to that!). This can cause your small and large intestine to also become stuffed and uncomfortable. Those who are in the habit of overeating may also be setting themselves up for acid reflux and/or heartburn, so this too will go hand in hand with the indigestion issue they are facing. The best way to combat overeating is to again, eat slower, and on top of that, learn proper serving sizes. The size of your protein serving should be about the palm of your hand, while your carbohydrates should be about the size of one or two cupped hands. To that, add a small amount of fat to your plate and you’ll have a reasonably sized meal in front of you. Avoid eating meals that are much more than 500 calories unless your overall daily intake is exceptionally high as this is only setting you up for problems. It’s far better, as far as digestion is concerned, to eat more frequent smaller meals throughout the day than two or three very large meals. The next of the common causes that may be contributing to indigestion is thyroid conditions. If you suffer from hypothyroidism for instance, your body is doing everything slower than it normally should. This may mean that food is sitting in your stomach longer, potentially leading to the indigestion symptoms you are experiencing. Those who are suffering from this condition will also often have symptoms such as feeling cold all the time, weight gain, brittle hair and nails, as well as feeling very lethargic or low in energy. If you notice this is taking place, it’s a good idea to consult with your doctor about it. A simple blood test will indicate whether or not you may be suffering from hypothyroidism and this will be quickly fixed with the right medication. Finally, the last cause of indigestion is stomach ulcers. If you are suffering from this, chances are, you will have quite severe pain with your indigestion each time you eat. Stomach ulcers also have a variety of different causes, the most notable one being the overuse of over the counter painkillers, as well as the bacteria Helicobacter Pylori. Some people are more prone to getting stomach ulcers, including those who smoke regularly, have a family history of stomach ulcers, as well as who are consuming excessive alcohol in their day to day life. If you are suffering, consult a medical professional immediately. 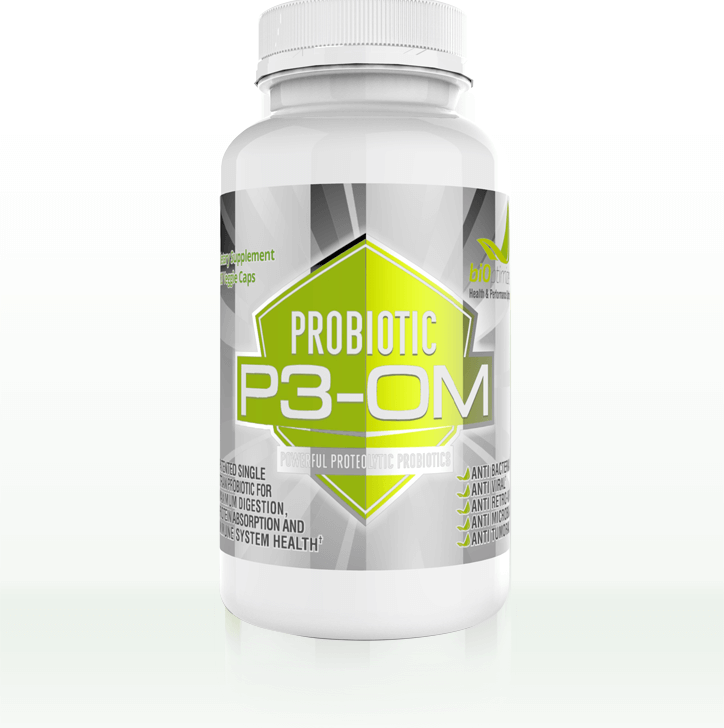 They may put you on medication to treat the ulcer and in addition to that you’ll need to eat a very specific diet until your body has healed..
It’s also a wise move to begin supplementing with a quality probiotic such as P3-OM as this will help to increase your immune system strength and help to enhance the healing process. So there you have the top 10 causes behind indigestion. There’s no question it’s a very frustrating situation to find yourself in but the good news is that by pinpointing the cause, you can very likely find relief and get back on with your day to day life. Beyond that, by using proper supplementation, you can then ensure that indigestion does not become a regular problem for you into the future. What have you found to cause your indigestion? And, what treatment methods did you find worked best to combat it? Share your story with us below. Oelgoetz, Anton W., Paul A. Oelgoetz, and Juanita Wittekind. “The treatment of food allergy and indigestion of pancreatic origin with pancreatic enzymes.”American Journal of Digestive Diseases 2.7 (1935): 422-426.